What started out as a rumor is starting to look pretty solid right about now. 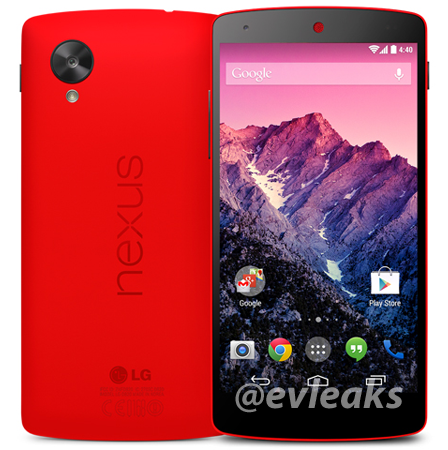 Google said to offer the Nexus 5 in Red, and perhaps a few other colors within a weeks time. The question that sits in the back of this Canadians mind is, will we Canadians even get it? I originally said that pretty much everyone I know that wanted a Nexus 5 has already bought one, and believed Google had been a tad too late to this Red Nation party. It appears I will stand corrected on this one. As the rumor circulated the Google universe, it appears to be getting a lot of traction from hopeful owners. It'll be interesting to see if Google will follow up the Red with a few other colors as rumored previously, and if we'll see even further slight hardware modifications as we seen a months or two go to address sound issues. Which color would you like to see? Let us know in the comments below.